If you are already living in London or are planning to visit this Autumn then check out the list below to see how you can have fun without breaking the bank! #1 | Hop on a bike! Museums – a chance to immerse yourself in the culture, history and all the mysteries, but it comes at a price, a hefty one at that. 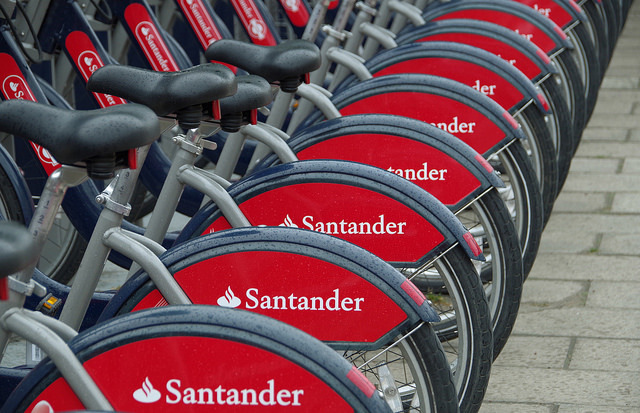 However, already a city booming with students, London bursts with culture and its people can enjoy it, free of charge! 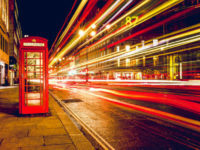 Popular destinations such as Tate Modern, Natural History Museum and the Science Museum are fun for all ages, and you can plan a day in London, for cheap. If you are a culture hunter then you will be eager to discover the 5 wonders of secret London, it is a great read and you’ll be sure to find out some hidden areas. The world has produced some fine things, the Dyson Hoover, Sliced Bread and of course the Cronut. What is a Cronut you say? It is an innovative hybrid of a croissant and a doughnut created by pastry chef Dominque Ansel. 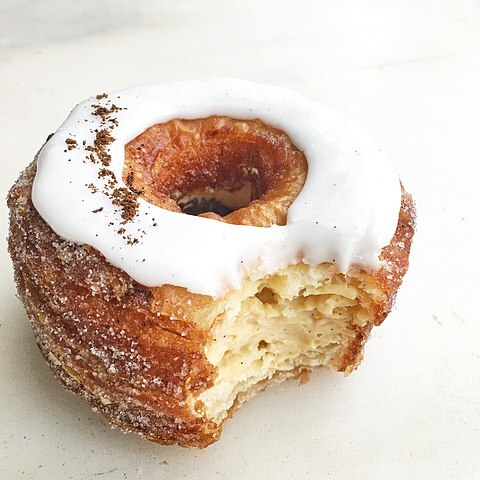 Each month the flavour of the Cronut changes, and for October it is a good’n. Popcorn and caramel, with a homemade caramel coolant and a mouthwatering popcorn ganache, sprinkled with salted sugar. For you Instagrammers, the deliciously handsome Cronut makes for a great upload too. Yes, I understand £4.70 for a cronut is a little excessive, but oh boy, if it only costs £4.70 to get to Heaven, I’m there! Bozo, Gary, Pablo and Bruce, no I am not talking the top 4 names to name your dog, but in actual fact are the names of mini golf courses at Junkyard Golf. All with quirky themes, mostly aimed at 18 years and plus also comes with a great bar! So grab your friends, brush up on your golfing skills and take a hit at Pablo! 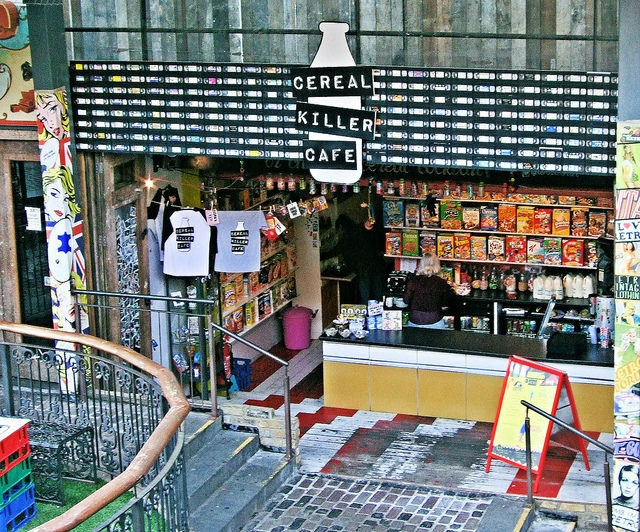 Head down to Brick Lane during Autumn, your kickstart your day at Cereal Killer Café and be mesmerized by the crazy cereal choices, with selections spanning far and wide, even to South Korea, you will be spoiled for choice. Fancy a trendy shopping spree? Bricklane offers a variety of vintage shops, in particular, Atika, previously known as Blitz has some awesome treasures. After all that shopping, it’s time to have another snack, how about a bagel at the 24/7, that’s right, 24/7 Beigel Bake and enjoy their low prices and succulent fillings. The above is a snapshot of what you can do and taste in London, so if you a student wondering what to do this autumn, take the train or walk out your front door and enjoy what the Capital as to offer. Megan Bryant is an Online Marketer for StudentJob UK, an online jobs portal offering part-time, undergraduate and postgraduate vacancies. Find your ideal job with ease.